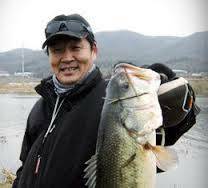 FLW announced an exclusive licensing agreement with MirooNamoo Media Group from South Korea to begin sanctioning FLW bass-fishing tournaments in the Eastern-Asian country at a contract signing preceding the weigh-in at the Walmart FLW Tour at the Potomac River presented by Ranger Boats. South Korea is the second country to sign on for international sanctioning. Canada has already signed on as FLW’s partner under the new program and is set to host an FLW tournament in 2015 with at least three events slated in Canada for 2016. Additional FLW qualifying tournaments in other countries are forthcoming.